Four-star prospect by Rivals, 247Sports and ESPN … Ranked as the top tight end in the country and the No. 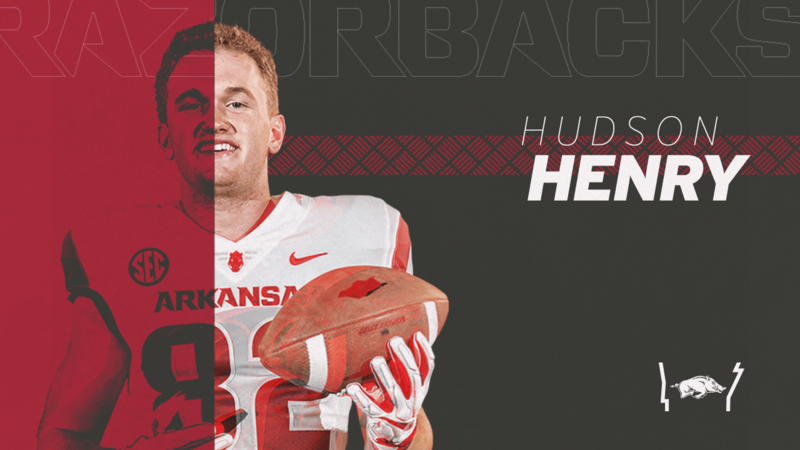 1 player in the state of Arkansas by ESPN … Landed in the outlet’s Top 300 players at 52nd in the 2019 recruiting class … Four-year varsity letterwinner at Pulaski Academy in Little Rock, Arkansas … Racked up 1,207 receiving yards on a team-high 86 catches as a senior for the Bruins … Averaging 14.0 yards per catch and 92.8 yards per game through 14 contests, hauling in 14 touchdowns in 2018 … Helped Pulaski Academy to a 12-2 overall record, 7-0 in district play, falling in the 2018 Centennial Bank State 5A championship game on Dec. 2 … Three-time Arkansas state champion, propelling the Bruins to titles in 2015, 2016 and 2017, putting together a 53-3 overall record as a high school tight end … Tallied 984 yards on 72 receptions in 2017, averaging 13.7 yards per catch and 70.3 per game to go with 10 touchdowns … Found the end zone 27 times in high school, totaling 2,509 receiving yards over four years … Under Armour All-American … 2018 All-USA Today Preseason High School Football Team … Invited to play in the Under Armour All-American Game on Jan. 3 … Continues a long lineage of Henry family members to sign collegiately at Arkansas: Grandfather Skip Coffman played basketball for the Razorbacks (1959-63), father Mark Henry earned All-Southwest Conference honors as an offensive lineman for the football program (1988-91), brother Hunter picked up All-America honors as a tight end at Arkansas (2013-15) and is currently in the NFL with the San Diego Chargers, and brother Hayden is currently a linebacker for the Razorbacks (2017-present) … CHOSE ARKANSAS OVER: Alabama, Auburn, Florida, LSU, Ole Miss, Tennessee, Vanderbilt, Clemson, Michigan, Notre Dame, Ohio State, Oregon, Penn State, Stanford, Wisconsin and others. Hudson Henry … Born Nov. 20, 2000 … Son of Jenny and Mark Henry.